Quality leadership is at such an all-time low in the Body of Christ that it should be addressed as thoroughly as possible. There are 23 qualifications compiled from the two epistles, but I will only deal with the ones from Titus since that is the focus of this study. I will only deal with the qualifications and not discuss “how to lead” except where it pertains to any particular qualification. This one is the most controversial of all, and is also the only one from the Bible that is generally considered. Sadly, seminary training and ordination are the top two considerations when considering a pastor. Some denominations have concluded from this statement that the pastor “must be married.” Catholics have ignored it altogether and require that their priests not be married. Two extremes, both of which are off-target. Another, and by far the most popular interpretation, is that a candidate for the position of pastor cannot be divorced. This one interpretation alone has kept many a good man from being able to lead a congregation into the quiet fields of the Lord. NOTE: Remember that we are dealing here the qualifications of leadership, not just a pastor. I use "pastor", because that is where we are as the Body of Christ in this day. These qualifications are to be met by any candidate being considered for a leadership role in the church—including the pastor. In fact, since that is the way we are doing things at this time, it is MOST important that your pastor fulfill these qualifications. If Paul had meant that a man could only have been married once, do you not think he had enough of a command of the language to have said such? To interpret this to mean “married and not divorced” does despite to the overall tenor of scripture, which allows for separation under some situations. It also places divorce as a more grievous mistake than murder—unless, of course, you do not consider that Paul was a leader in the Church. There is a good discussion of this statement that uses the Bible Knowledge Commentary as its main source. You can read the article here. As will be seen, I essentially agree with this author that to limit leadership to one who has never been divorced is quite a stretch, and is too restrictive when considering the remaining requirements of an overseer. 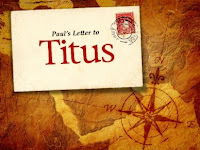 Because divorce was rampant, and polygamy was a possibility in the time Paul penned this letter, it is safe to assume that polygamy is what he had in mind; for finding a non-divorced person would probably have left the church leaderless. So, how do you know if one is singly devoted to one’s wife? Firstly, pay attention to her and her demeanor when with him in public. Does she wince when he begins talking or making a joke? Does she show resistance to being with him? Secondly, pay attention to him when he is in public. Do his eyes follow her with love wherever she goes? Do his eyes wander beyond the face of the other women in the room? Does he treat his wife with respect, or contempt? Things may happen later on down the road in a man’s ministry, but we would do well to make sure that at the start we are not setting him up for trouble due to his not having his sexual urges under control. I don’t think so. It would be better if he were; but you will still want to take his public persona with the ladies into consideration. Because the Bible is not clear on this matter, it is therefore necessary that you become clear in your own mind as to what is at stake as you begin to consider those who are designated, or soon-to-be-designated, as leaders in your particular church. Consider all the ramifications of your choice before you put it in writing in the by-laws of the church. You don’t want to paint yourself into a corner in later years down the road when changes or additions to the leadership must be made. A small church in central Pennsylvania had been without a pastor for a couple of years. Some of the congregants asked me to consider becoming their pastor, to which I was amenable. There was not a pulpit committee, nor board of any kind. There were two men who had helped to guide the church. There were also a couple of women who had been with the church for a few decades. When they gathered to consider my application, the two men spoke against me using the qualification of “husband of one wife” as their main thrust, since I had been divorced 20 years earlier. One of those men, who wanted to be their pastor, was not married. The other was soon discovered to be cheating on his wife with another woman. Neither man was asked to pastor the church. The lack of spiritual leadership in a church can result in some strange situations.